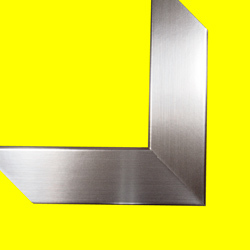 We use a number of suppliers here in Miami-Dade County and beyond, and have quite a selection to choose from. 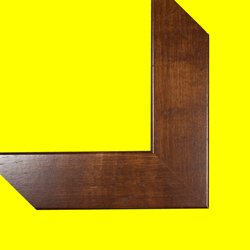 For our art shows, however, we tend to gravitate toward the simpler mouldings - flat designs that are mostly black, white, or a variety of wood tones. Below is a representative sampling of what we have used. All of those shown would be included in the basic prices quoted elsewhere. 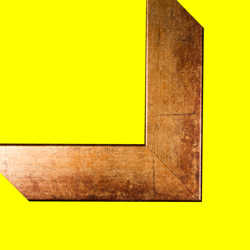 The following six mouldings are made of compressed wood. 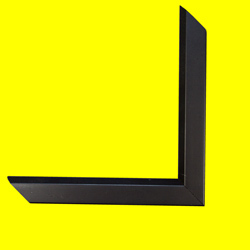 They are available in widths of 2", as shown, or 1.25". 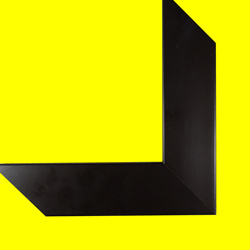 The same company makes a series of mouldings with two concave surfaces. 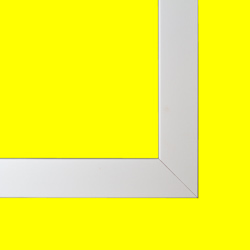 Their width is 1.44". 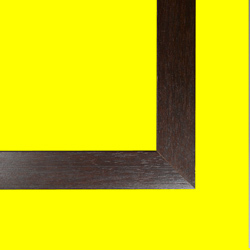 For black frames, we have used a 1.88" wide flat plastic moulding, as shown on the left, or smaller 1.25" coated wood moulding (not shown). 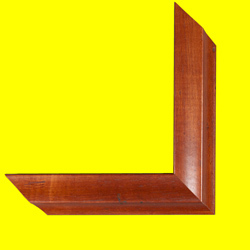 The right picture is a 0.94" coated wooden moulding with a bevel on the inside edge. 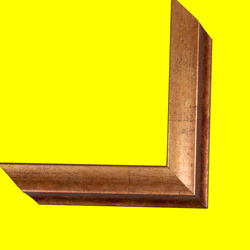 For white frames, we have used a 1.25" wide coated wood moulding, as shown, or an even smaller 0.75" moulding. There are two other flat wood mouldings I would like to mention. 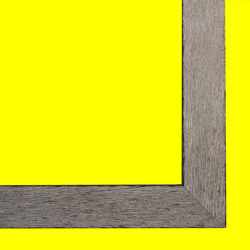 To the left is a grain-textured gray moulding with a width of 1.44". 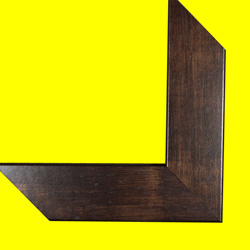 To the right is a smooth-textured expresso-stained moulding that is 1.19" wide. Again, this is just a sampling of the mouldings we've used, mostly for the images we frame for art shows, which seem to favor simpler designs. Another design might be better suited for your conditions. 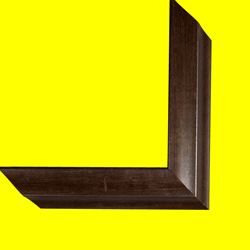 We are happy to work with you to find the best frame for you.